I would like to welcome you to the new and improved site of the Lambda Pi Chapter of Kappa Alpha Psi Fraternity, Inc. We, as men in a powerful fraternal bond, have placed the concept of "Achievement in Every Field of Human Endeavor" as our top priority for the coming semesters. Follwing in the footsteps of our founders and the many inspirational before us, we challenge ourselves to be the great leaders we were born to be; especially In the areas of academics and community service. I challenge my brothers to show the student body what we are made of and to reflect what being good Kappa Men are all about . Our motto for this year is "Preperation and Dedication is the key to sucess;" doing so by being prepared for events and goals set before us, and being dedicated to accomplishing those goals. 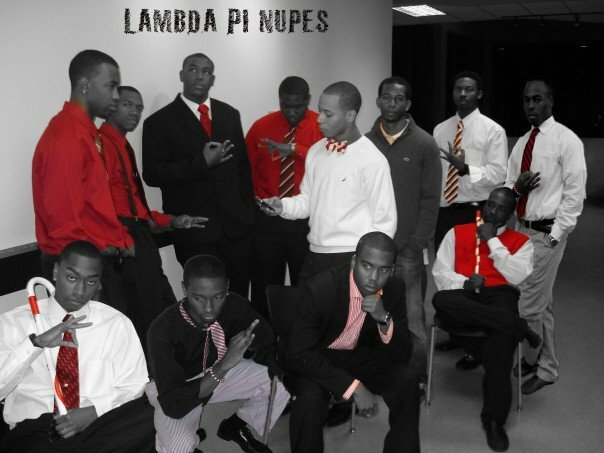 We have various ideas to help in the longevity and prosperity of Lambda Pi. Not only do we want to distinguish our fraternity from all the rest but our chapter as well. As visitors of our site, we invite you to explore and learn more about us. To members (old and new), I pose the question "Where do we go from here?" Preperation and Dedication is the key, "by failing to prepare, you are preparing to fail"
Brother Steven Lucas - Polemarch/ South Central Board of Dir. The Lambda Pi Chapter is ecstatic about the year of 2008. For it is not only another great year for Kappa, it is another great year for the Lambda Pi Chapter because we will be celebrating our 25th year anniversary this semester at the Unviersity of Mississippi. We have been firmly dedicated to ensuring that we not only excel in our daily activities, but remain diligient in the humongous task of creating the perfect calendar of celebratory events that hold the significance of our silver anniversary in high esteem.